Arbor Vitae Arboriculture truly enjoy planting trees. We take great satisfaction in the knowledge that we have planted far more trees than we will ever cut down. 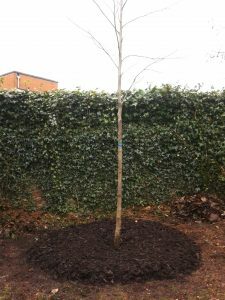 We have plentiful experience and training in how best to plant trees and each year, we plant a varying number of trees anywhere from 1-5 metres high. One of our most satisfying Tree Planting projects was in 2013, when a farmer near North Berwick contracted us to establish a woodland of 1300 locally grown trees plus a small orchard of Apple, Plum, Pear, Cherry, Walnut, Almond and Hazelnut trees, among others. Intended as legacy to the farmer’s children, the types and sizes of trees planted required foresight as they will not be mature for several decades. 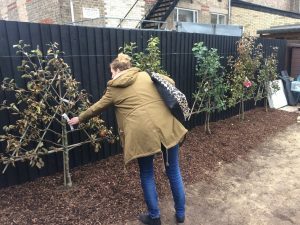 The project began with a thorough site assessment to determine which trees would be most suitable for the soil, exposure level and geographic area. An aftercare plan of pruning, watering and mulch replacement was also carried out. It is gratifying to now that we have left a woodland for future generations to enjoy and benefit from. Find out more about our Tree Planting and Woodland Design & Management services.